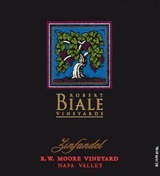 Like all the 2011 wines, stunningly beautiful aromas, with explosive fruit so characteristic of the RW Moore vineyard. Showing that classic deeper structure in the finish that we see in the old dry farmed vineyards. With a finish heaped with fat raspberry fruit, and counterbalancing umami flavors and textural mouthfeel. Highest Yummy Factor possible: a perfect 5. Sleek and vibrant, offering aromas of fresh raspberry, mineral and cinnamon, with lingering flavors of supple cherry, toast and spicy herb. Drink now through 2019. 679 cases made.